An interesting form I stumbled upon thanks to my friend Hamp. Six staves were joined to form a half cone. Four half cones were joined, reversing each set and closing the loop. 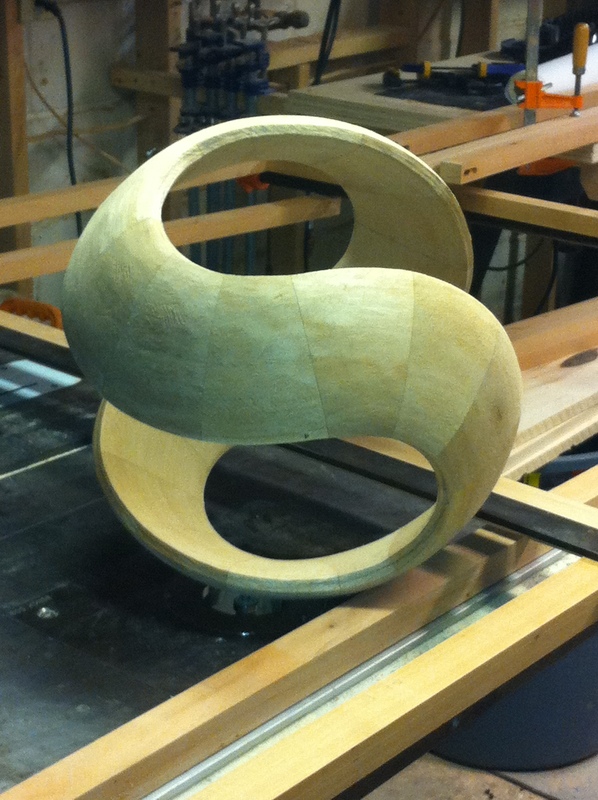 The model was then shaped and smoothed the outside surface defining a sphere. Here is Squiggle at various stages during it’s carving. The sequence is backward. 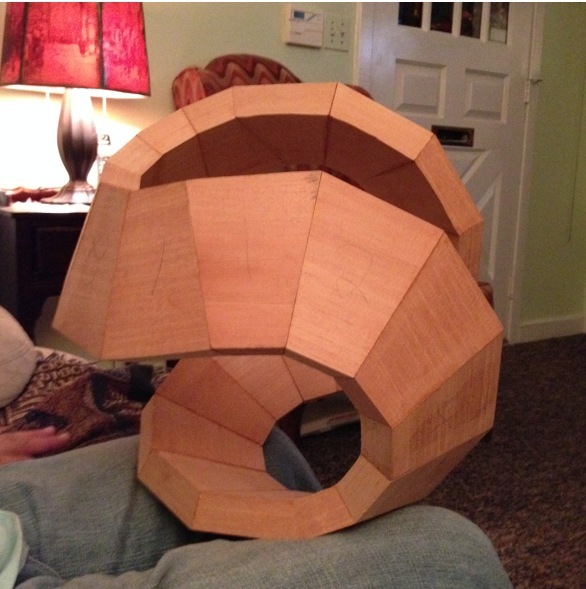 The bottom photo taken shortly after the pieces assembled. The model surprised me several times. 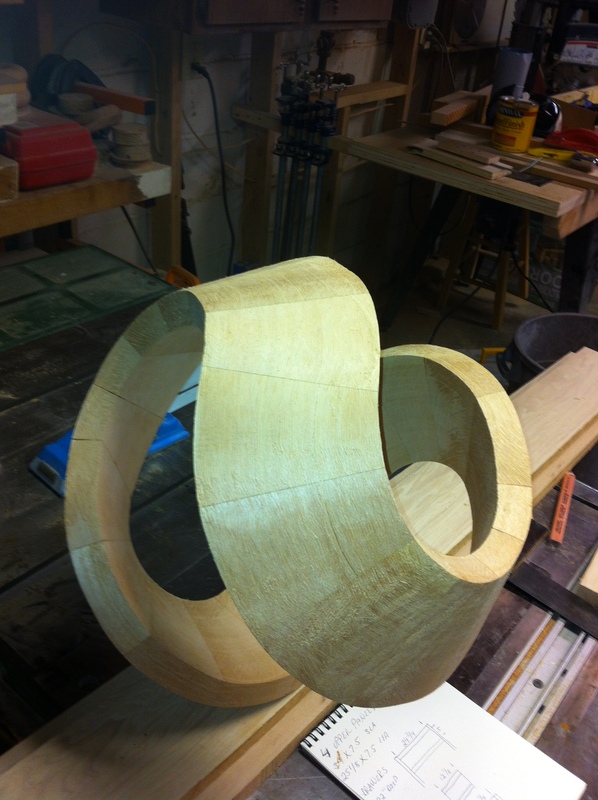 First, that it assembled at all as the pieces had error in the compound miters. And second, when I realized it could define a sphere. Many think the pieces came from different boards because of the darker and lighter colors. In fact, all the pieces came from one board and were cut sequentially. The effect is from light reflecting at different angles.